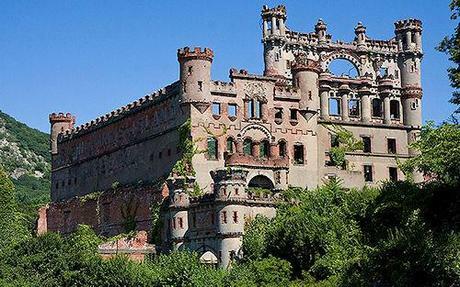 Abandoned, neglected and decaying, at first sight you may think that Bannerman's Castle is located in Europe, perhaps a Scottish remnant from the days of the lairds or a site in Ireland forsaken by retreating British aristocrats. Yet Bannerman's Castle, sitting blithely upon Pollepel Island is only 50 miles north of New York City, lying on the Hudson River. Its history is a long and strange catalog of disaster.